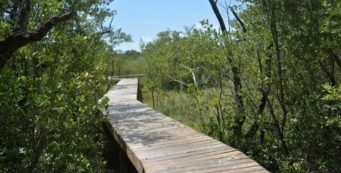 Birding in Florida | Florida Hikes! 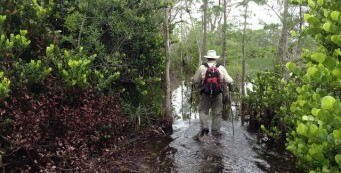 For birders, a hike down a Florida trail means an ever-unfolding adventure of discovery. Positioned as we are along major annual migratory routes, Florida offers thousands of places for sightings of both common and offbeat species. 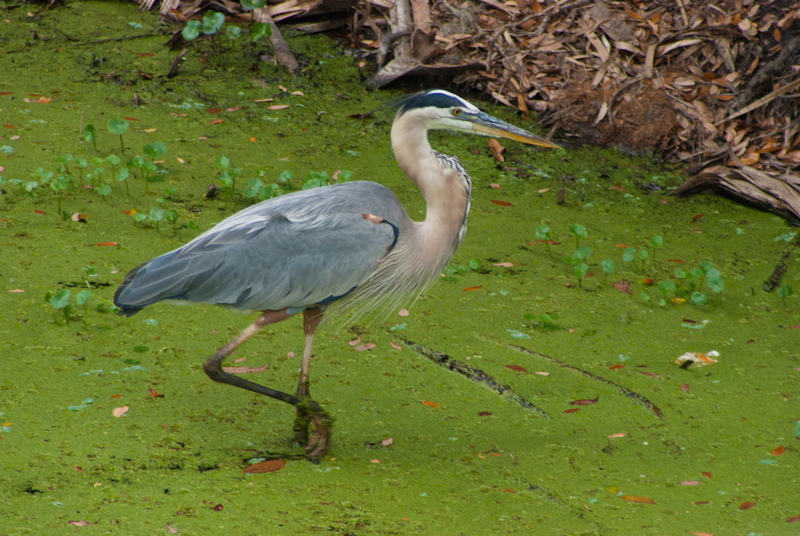 Our Great Florida Birding Trail points you to sites where local folks concur the birding is especially excellent, and you’ll find many hikes on this website on that list. Do you know the difference between an anhinga and a cormorant? Can you tell a roseate spoonbill from a flamingo? 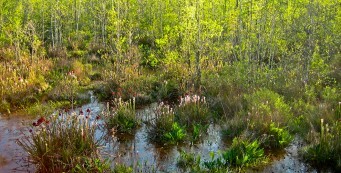 Hint: the spoonbill is MUCH smaller, but just as pink, if not even more flamboyant. How about telling all those “pretty white birds” in the mud flats apart? 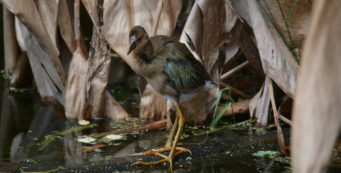 Here is our growing list of identification information for significant bird species you’ll find in Florida and how to tell some of the more similar species apart. With hundreds of birding destinations to choose from in Florida, where should you focus your time and effort? 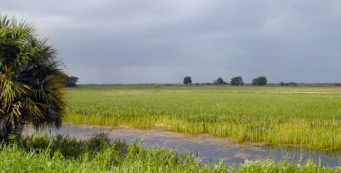 These are the places that we consider bountiful destinations for birders and photographers. 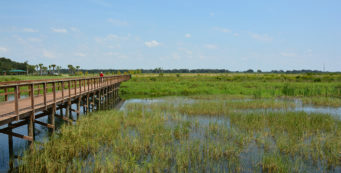 You won’t come up empty-handed on a visit to these parks and trails. 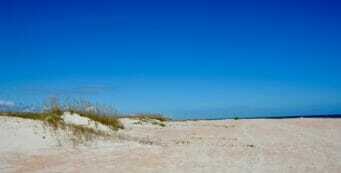 Our articles about birding and bird species in Florida. 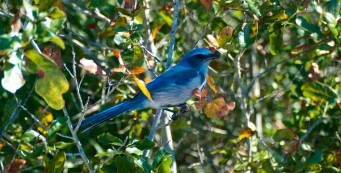 Florida Scrub-Jay Hikes- Natural lands in Florida with known Florida scrub-jay families or pairs that you might glimpse along the trails as you're hiking. 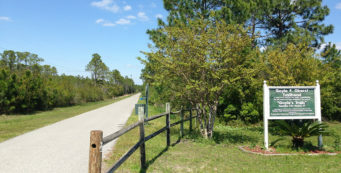 Gayle’s Trails- A network of paved trails north of US 98, Gayle's Trails connect two major parks in Panama City Beach with nearby neighborhoods. 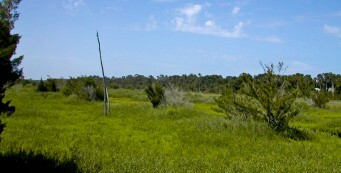 Great Florida Birding Trail complete in Florida’s Panhandle- With the final signs up and brochures circulated, the Great Florida Birding Trail's Panhandle Section is finally complete. 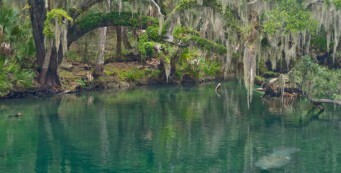 It points you to places of special beauty in Northwest Florida. 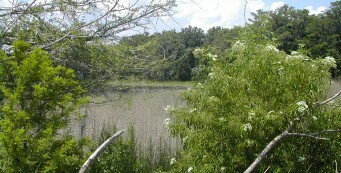 Holloway Park- With day hiking and cross country trails, Holloway Park & Nature Preserve is a slice of nature inside the city limits of Lakeland, just off the Polk Parkway. 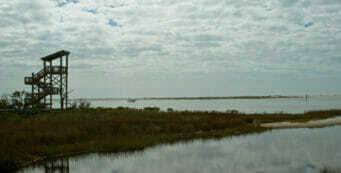 Identifying Birds in Florida- Florida is a prime destination for migratory birds. Here is identification information for some of the bird species you'll see in Florida almost any time of year. 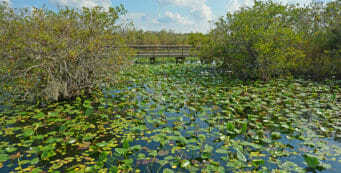 Key West Au Naturel- On a recent visit to Key West, we sought its natural side - what it looked like before it became a city. 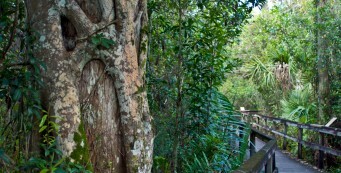 And since it's been a city for more than 150 years, it takes a bit of sleuthing to find natural habitats. 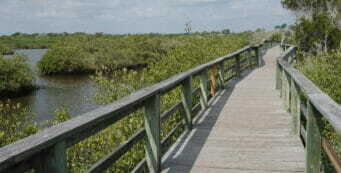 Mild wander at Wadsworth Park- Here's a gentle walk that's great for birding - a boardwalk at Wadsworth Park, just west of the Intracoastal bridge on the north side of SR 100 west of Flagler Beach. 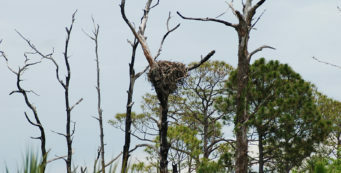 Osprey watching at Honeymoon Island- It's an easy walk out to the osprey nesting grounds on Honeymoon Island, and an unforgettable experience. 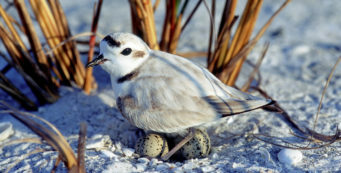 Shorebird Nesting Season- A seasonal reminder from the Florida Fish and Wildlife Conservation Commission to walk softly on Florida's beaches during shorebird nesting season. 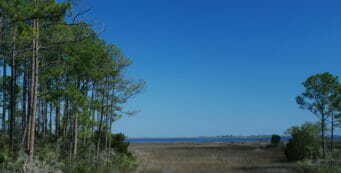 Steflik Preserve a birder’s delight- Imagine passing by a preserve dozens of times over the years and never seeing it. 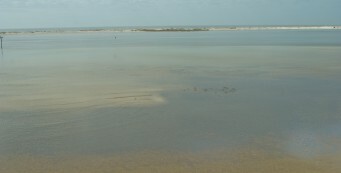 That's what I'd done here in Flagler Beach, until I finally discovered Betty Steflik Memorial Preserve thanks to a heads-up from a local innkeeper. 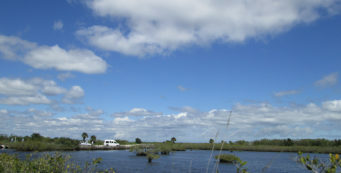 Towering over Big Lagoon- The tower at Big Lagoon State Park offers a sweeping view of the park, the lagoon, the Gulf of Mexico, parts of Gulf Islands National Seashore, Perdido Key, and the surrounding shorelines. 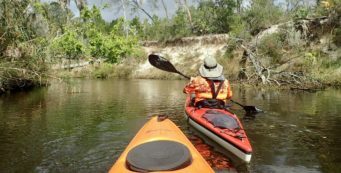 Turkey Creek and the Space Coast Paddlers- A chance meeting of old friends leads to my first paddling trip down Turkey Creek and the opportunity to connect with our local paddling club, the Space Coast Paddlers, by talking about our most recent guidebook.